Only one wire? You should probably cut it. Wait, what do those dials do? The module consists of three retractable dials (ordered 1-3 in reading order), a retractable wire, a number display and an initiate button. To defuse the module, you must set the dials to the correct channel and cut the wire at a specified time. Push the initiate button to expose the dials/wire and start the countdown. Once the countdown expires, the dials and wires will retract. The colours will reset upon re-initialisation. For safety reasons, the wire cannot be cut whilst in motion. 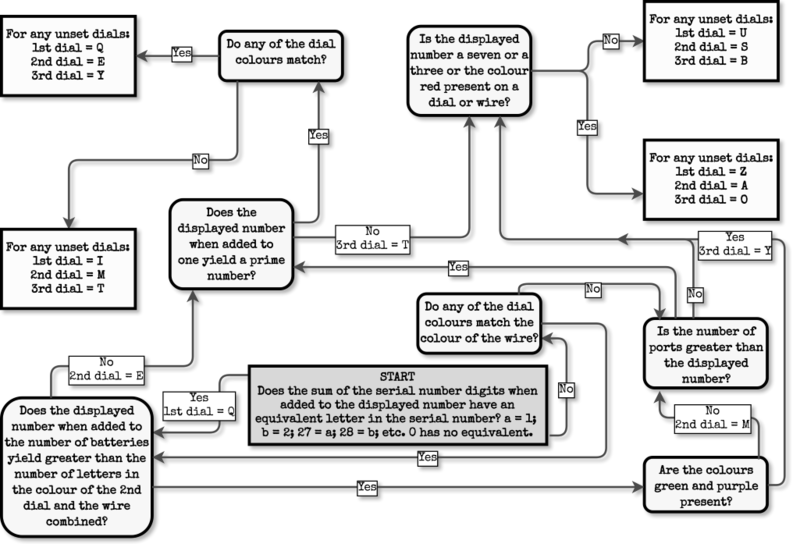 Use the flow chart to determine the correct channels of the three dials. Once a dial has been set, disregard any further instructions for that dial. 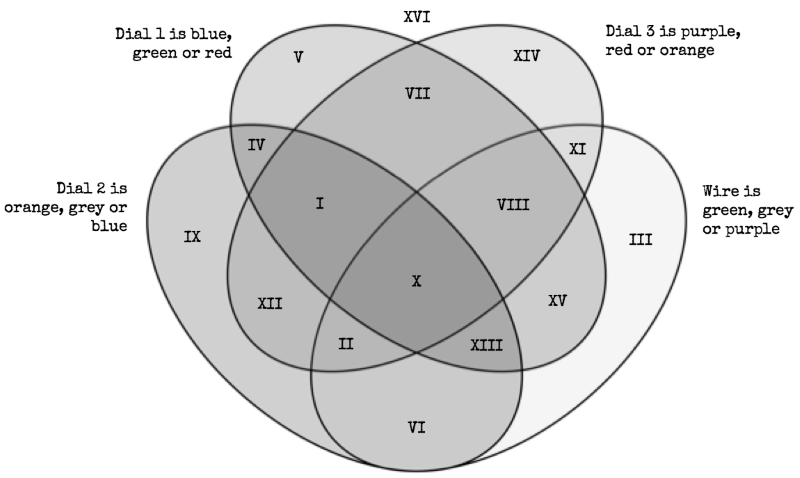 Use the Venn diagram to determine when the wire must be cut. Cutting the wire at the wrong time or with the dials incorrectly set will result in a strike. A percentage sign refers to the 'modulo' operation.